The most important thing in my life is mi familia. 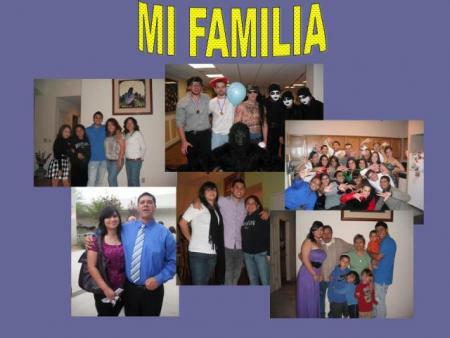 Mi familia is Spanish for "my family". Where I come from, the word family is more than the biological break down of relatives. In my family, this phrase is something all encompassing, which not only includes relatives related by blood, but also my friends and the people in my community. Here are some of the many people in my life I owe much of my success to. Without their support, I cannot imagine myself in such well-being. In this postcard I included pictures of significant people in my life. In the top center are my suitemates in our Halloween costumes. To the right of that is a picture of my dance team. Under that is a picture of me, my sister, my cousins and grandparents. To the left is my mother, my sister and I. Next to that is my sister and father. And above that are my aunts.